Hey there everyone! I know I'm not awesome at posting on this blog lately but I have been working a lot getting a new business up and running. I'm happy to it is now officially official! If you still want more to read you can also check out my other blog at www.congestionzone.wordpress.com. For those of you planning a trip to London we can help with with personalised travel recommendations, customised days out or bespoke tours. If you are planning a trip around the UK, get in touch for itinerary suggestions, travel coordination or guided tours. For new students and expats, we’ll help you learn all the basics about your new home. Don’t forget, you can always reach us at info@youkcustomtours.com if you have any questions or need help. We’re excited to help you get the most out of your time in the YouK! When I moved to London in 2010 I spent an average of three to four hours a day learning the city by foot. After I had the main thoroughfares solidly mapped in my head, I decided I should get to know each neighbourhood as best I could. I made it a habit when out and about to always go down at least one road I had never been on before (a relic of my parents’ weekly desire to “find a new bit of road“). I can’t imagine a better way to get to know London than on foot. How else are you meant to linger outside people’s windows and see how they decorate their Christmas trees and set their tables? I love love love maps and have a mild obsession with knowing where I am and how it links to where I’m going and coming from (no, that’s not a profound life philosophy, it’s just basic geography) and I am a very visual/interactive learner so mapping my outings became the best way for me to understand where I’d been. My bedroom is adorned with two maps of London: one of greater (Wembley, Richmond and Stratford being its limits) and a large-scale of central. Every time I walk down a new road, I mark it on the map in whatever colour suits my fancy that day. For the first few months, my fingers were constantly stained with the byproducts of my nightly routine. Then I fell into the habits that daily routines bring and slowly found myself treading the same bits of ground more and more regularly. As a compulsive explorer, this just would not do! Ok, this requires some boundaries to be set. First of all, what IS central London??? We all have our own definitions which seem to range in size quite dramatically. To solve this riddle, I decided to go by what the local authorities define as the busiest parts of the city: the Congestion Zone…dun dun dun (technically they call it the “Congestion Charging Zone” but that is just a bit too much for me). Yet having established this area, I STILL had to decide WHICH Congestion Zone. You see, right around the time I moved here, the boundaries were changed quite dramatically. Whereas the old CZ spread alllll the way along the river, up past Earl’s Court and into North Kensington, the new CZ ended really quite neatly at Park Lane. With just a little over a year to complete the challenge, time was certainly a factor. Right, that’s my reason and I’m sticking to it. Call it laziness, call it cowardice, call it what you will; I chose the new CZ as my barrier. So now you know the story and you know the quest (but what is your favourite colour??!). What you don’t know is that I have failed already. Yep. That’s right. You just wasted all that time reading when you could have been doing your morning callisthenics. What a waste. The fact is, my 30th birthday is just over two months away and while I’d LOVE to say I will spend the next ~60 days walking my little legs fit over London’s cobbled alleys, I will not. I’m working on something really pretty exciting and fun (if you stick with me you’ll probably hear about it pretty soon…you knew there’d be a hook!) but it has a tendency to take up really a rather large amount of my time. In short, I will not have the CZ badge on my sash by February 20th. I have chosen, therefore, to lift my self-imposed deadline and continue on with my quest till death (or dry markers) force me to admit defeat. And for you, dear reader, I will document my wanders in as few words and as many photos as possible (I mean really! Why are you even still reading this tome?!). Let’s get our walking on!!! By way of separating my personal writing (or the little I have done lately, at least) from this project, I have created a website for it specifically. Visit www.congestionzone.wordpress.com for updates! This is EXACTLY my life at the moment. Actually most of the time but particularly right now! 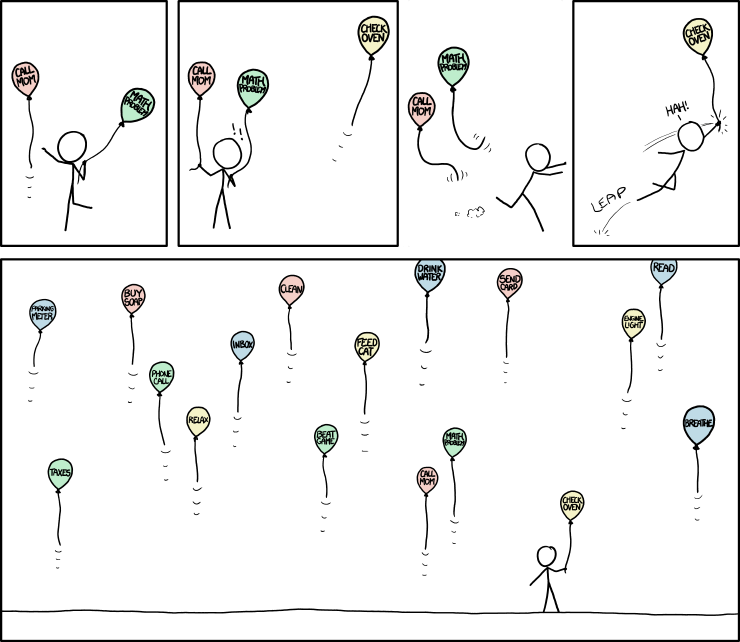 Thank you xkcd for, once again, knowing precisely what's up? I will update the list below as I get to more posts. Hope you enjoy! "It was painful, but it was surprisingly acceptable." "Why does it always hurt when I'm with you?"